Keith leads a world-class team of expert engineers, project managers, estimators and general foremen across the San Francisco office and the Peninsula Division in South San Francisco. Prior to joining the company, he served as a project manager at a large San Francisco general contractor. 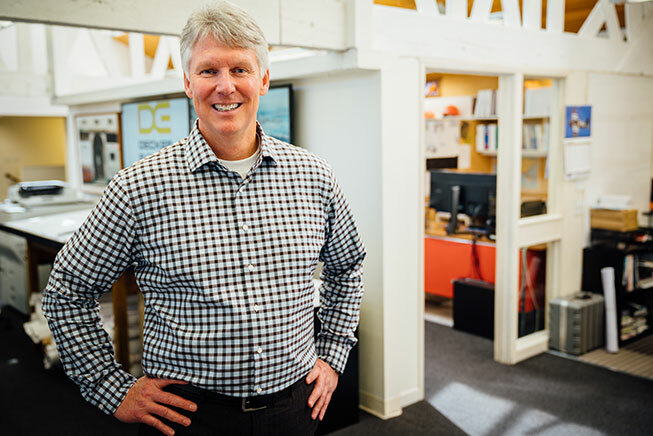 With an extensive background in engineering, preconstruction and construction, Keith has focused in delivering an unparalleled level of electrical construction services, leading the company to 100% increased sales volume in the past four years. Keith earned a B.S. in Construction Management and a minor in Business administration from Chico State University. Outside of the office, he enjoys skiing , dirt bike riding, hiking, golfing, and dining at fun and creative restaurants with his friends and family. On weekends he enjoys spending time with his family. Keith resides in Novato with his wife Susan, daughter Kirsten, and sons, Greg and Jim. Decker Electric is a rare combination of innovation and tradition. With 121 years of service to the Bay Area, we lead the way in state-of-the-art solutions. As a three-generation family business, we also deliver the most important aspect of a local business: integrity.